The super luxury and dream car maker Lamborghini on Monday introduced its exclusive range of branded merchandise for the Indian market. 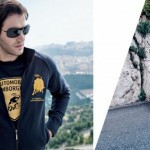 The Automobili Lamborghini fashion collection was formally launched in 1999. 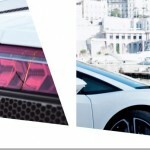 However, Collezione Automobili Lamborghini will be sold through the authorized Lamborghini dealerships in Mumbai and Delhi. Looking at the growing interest for the Lamborghini brand in India, we are proud to introduce Collezione Automobili Lamborghini,” Lamborghini India operations head Pavan Shetty said. The new clothing line up from the company will include a range for men, women and children as well. The company also plans to retail leather, goods, accessories, electronic items, travel bags, pens and even jewellery. Check out things you can expect from the upcoming clothing line up, the images are taken from the company’s catalogue.